The truly famous only need one name: Sting. Cher. Sinbad. Back in the early '90s, the towering, family-friendly, loud-shirt wearing stand-up star (real name: David Adkins) achieved massive popularity with his keen observational and relationship comedy. His specials ran on cable near constantly, he frequently did routines on the talk show circuit, he was a regular on sitcoms like A Different World and The Sinbad Show, and he co-starred in hit '90s movies like Houseguest, First Kid, and Jingle All the Way. But what have you done for us lately, Sinbad? Sinbad was huge in the '90s…because he was on TV all the time in the '90s, partly because he churned out special after special (a whopping five in eight years) that ran on HBO and the fledgling Comedy Central. 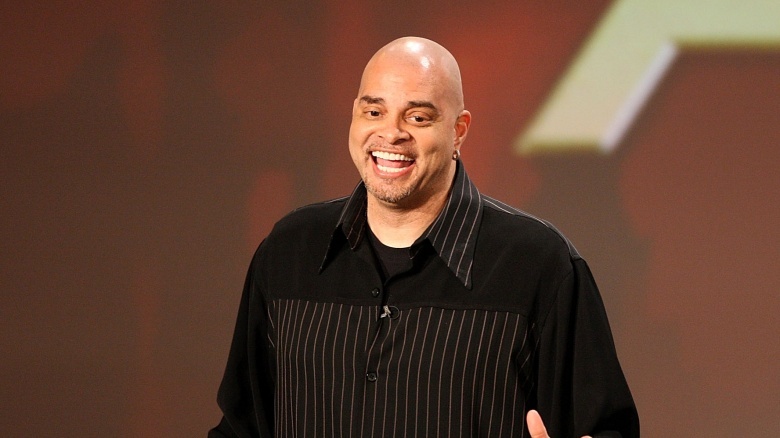 They aired less and less as Comedy Central developed a larger slate of original programming, and perhaps as a result, Sinbad produced fewer specials. After 1998's Nothin' But the Funk, he focused on movies and sitcoms and didn't tape another solo show until 2010's appropriately titled Where U Been? Sinbad's comic signature is his highly recognizable voice, and he's put that agile, rapid-fire delivery to good use with a lot of voice work in kids' animated movies and TV shows. 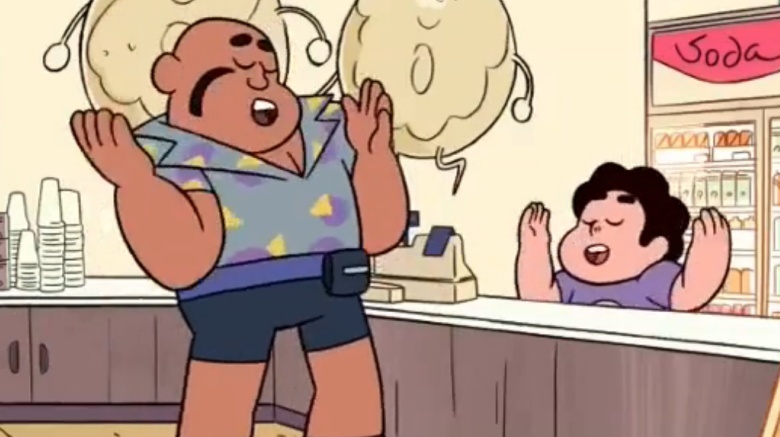 He played Harold Smiley in Cartoon Network's acclaimed Steven Universe, a forklift named Roper in Disney's Cars spinoff Planes, and starred as Eddie on ABC Family's animated series Slacker Cats. He's also popped up on Family Guy and American Dad. Sinbad fans may remember Mark Curry, one of his '90s standup comedy contemporaries and the star of Hangin' With Mr. Cooper. In 2006, Curry was doing his laundry at home when a can of spray starch fell behind a hot water heater and exploded, leaving second-degree burns over 20 percent of his body. Even after a three-day medically-induced coma, the pain was so bad that Curry contemplated suicide. Curry's comedian friends jumped into action—particularly Sinbad—talking with Curry on the phone and just being there for him in an effort to lift his spirits. "It was comedians who called me," Curry later said of his journey out of the ordeal. "It was Sinbad on the phone making me laugh." Sinbad is still a touring comic, but if he's gracing a stage these days, it's far more likely that he's doing it as a musician. 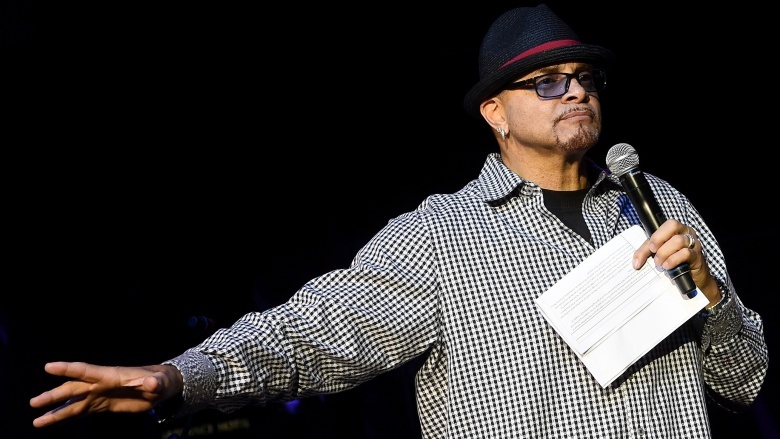 After buying a drum kit and learning to play a couple years back, Sinbad formed a band for the first time in more than 30 years—a jazz-funk group called Memphis Red and the Stank Nasty Band. 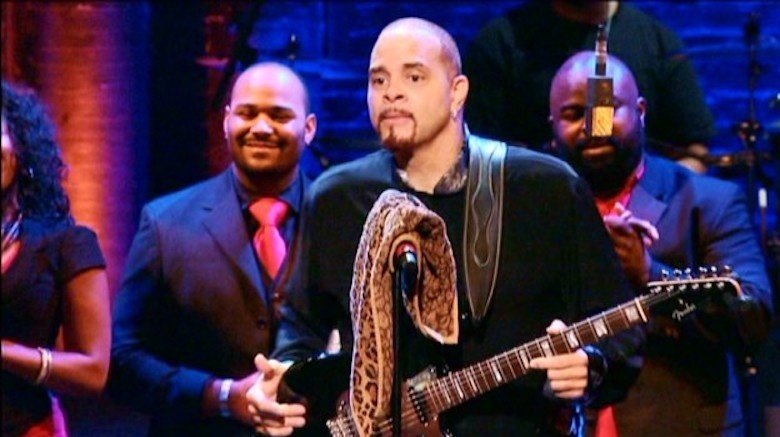 Sinbad fronts the group, singing and playing guitar under the auspice of his alter ego Memphis Red. Memphis Red performances bookended Sinbad's 2014 special Make Me Wanna Holla. 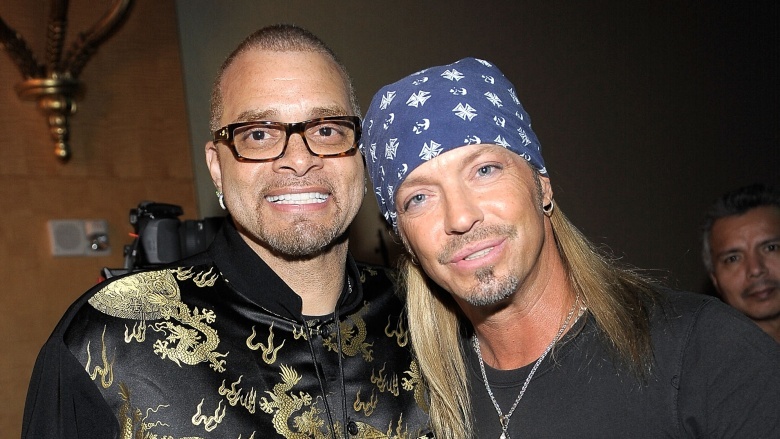 In 2010, Sinbad had to undergo knee replacement surgery. It's a costly and painful procedure (well, two procedures), that requires a lot of recovery time. Patients essentially have to re-learn to walk. 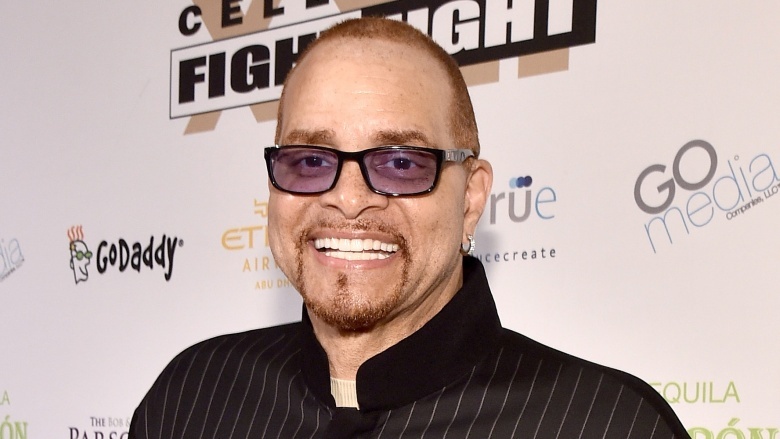 Sinbad received two new joints, both artificial, or "bionic knees" as he calls them. However, the new knees left one of his legs slightly longer than the other, which changed his gait to what he refers to as "a pimp walk." 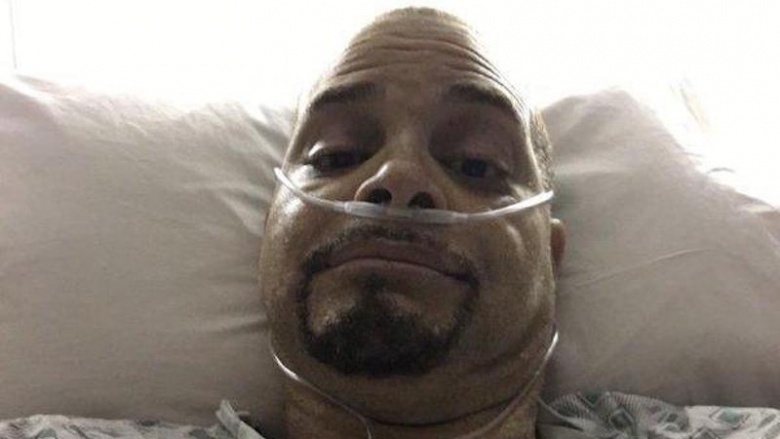 He was knocked out of commission again five years later, when his chronic back pain grew so unbearable that in 2015—on his 59th birthday, no less—Sinbad had to undergo double fusion spinal surgery. The procedure took 10 hours for surgeons to perform. 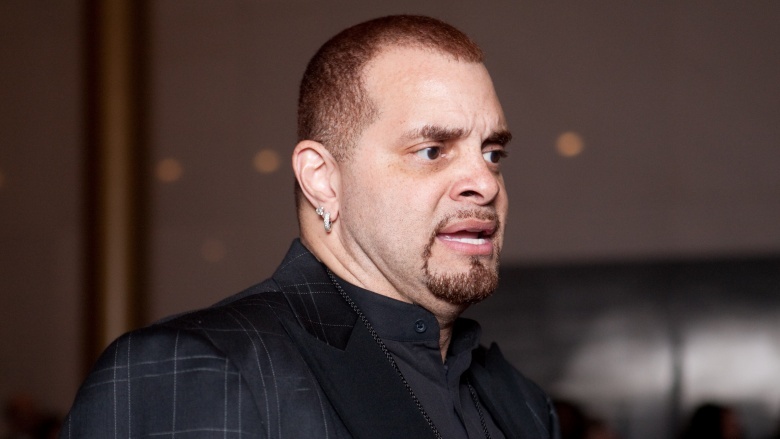 In December 2009, the IRS went after Sinbad for millions in unpaid taxes; a judge ordered that he sell his $1.5 million house in Hidden Hills, California to help alleviate some of the $8.15 million he owed the government. (He apparently hadn't paid federal income tax in about a decade.) To protect himself, he filed for Chapter 7 bankruptcy, but the case was later dismissed because he filled out the wrong paperwork. Regardless, he was still on the hook for his crushing tax debt…and filed for bankruptcy again in 2013. Around that time, he told Oprah Winfrey that his financial problems were not a result of squandering. "I didn't buy Bentleys. I didn't live large. I invested in me. I invested in a lot of other people. I would not change it. I would not go back." 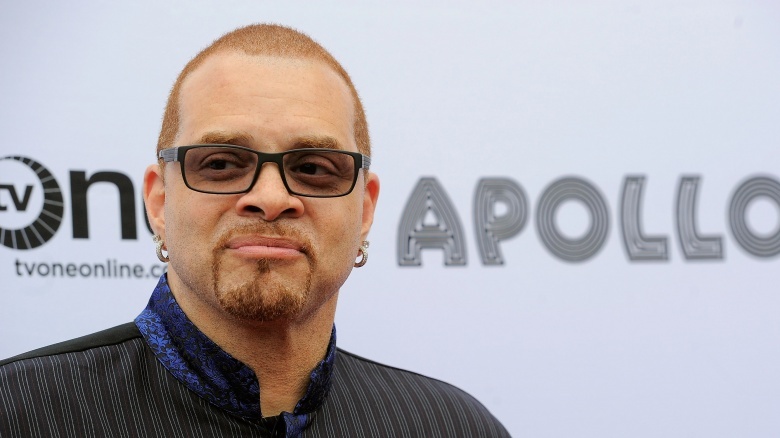 In 2014, Sinbad joked to BET that he's not as prominent as he once was because Hollywood "would only pick one" black comedian at a time, and that the pre-eminent African-American comedian of this moment is Kevin Hart. He was kidding about some kind of Hollywood conspiracy being behind it all, but Sinbad does have a point about the fickle nature of the entertainment world, and how some stars are "hot" while others are "not." It's especially true with stand-up comedy, which every so often unofficially crowns a comedian its star of the moment. Still, if you manage to stick around long enough, people eventually remember why they loved you and come around again—and at the ripe young age of 60, there's still plenty of time for Sinbad to make a comeback.